CarGurus has 164,612 nationwide 1500 listings starting at $4,999. One of the most versatile and refined pickups on the market is slated to get even better. Look for Ram’s 2014 1500 full-size pickup truck to be offered with a potent and fuel-miserly 3.0-liter EcoDiesel V6, the first diesel powerplant offered by a U.S.-based truck maker in some 30 years. As of yet, no word on which of the various trim levels will get the diesel, but the 8-speed shiftable automatic transmission accompanying the 5.7-liter V8 is now a done deal after its introduction late in the 2013 model year. 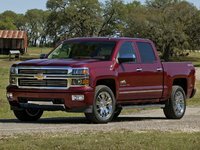 Anyhow, this half-ton pickup is again available in one of about a zillion trims and configurations, but the major players will likely remain the base Tradesman, the value-toting Express, the fuel-sipping HFE, the populist SLT, the performance-oriented Sport, the luxury-laden Laramie and the top-shelf Laramie Longhorn Edition. As is traditional, sub-trims ought once again to include the Ram 1500 Lone Star (in Texas) and Bighorn versions, the back-woods Ram 1500 Outdoorsman and the well-equipped Ram 1500 Express. All trims are expected, as well, to be delivered with standard rear-wheel drive (RWD), but of course all should once more be available with part-time, off-road-capable 4-wheel drive (4WD), boasting auto-locking hubs and a 2-speed transaxle. The Tradesman, SLT and Sport are each available with all 3 cabs, the 3-passenger Regular Cab, the roomy 6-person Quad Cab and the even roomier 6-seat Crew Cab. Both the latter cabs, by the way, also sport 4 independently opening doors. The HFE, meantime, is seen only in the Regular Cab version, while the Laramie and Laramie Longhorn Editions ought once again to be limited to Quad and Crew Cab variations only. Further tweaks in accommodating consumers should again include 3 bed lengths, the standard 6.4-foot bed that’ll be offered behind any of the 3 cabs, an 8.2-foot bed delivered only with Regular Cab trims and a 5.6-foot short bed that comes only with Crew Cab variants. The base engine equipping the SLT and HFE trim levels for 2014 should remain the well-wrought 3.6-liter Flex Fuel V6 that puts out 305 hp and 269 lb-ft of torque under the management of the standard 8-speed shiftable automatic transmission. Look for 17 mpg city/25 highway in RWD trims, 16/23 in 4WD editions and 18/25 with the HFE trim level, helped along by standard variable valve timing (VVT). Towing, meanwhile, is expected to max out at 6,500 pounds with the proper equipment. Next up likely remains a 4.7-liter V8 powerhouse that flaunts the traditional 6-speed shiftable automatic transmission for 310 hp and 330 lb-ft of torque and is expected to equip the Tradesman trim level in all its cab and bed permutations. Expect 14/20 with RWD variants and 14/19 with AWD editions, with towing again maxed out at a properly equipped 7,700 pounds. The Ram 1500 Laramie, Sport and Express should again flaunt a standard VVT 5.7-liter Hemi V8 and the 8-speed shiftable automatic transmission to shout out 395 hp and 407 lb-ft of torque, while towing remains topped out at 9,250 pounds when properly equipped. Meantime, look for estimated mileage to remain 14/20 in RWD versions and 13/19 in 4WD trims. 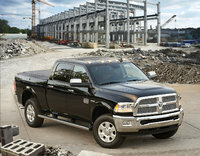 The 3.0-liter turbodiesel V6 engine expected to equip a number of 2014 Ram 1500 trims is also slated to carry the 8-speed shiftable automatic and to put out 240 hp and 420 lb-ft of torque. According to Ram folks, this brute ought to be able to handle up to 9,200 pounds of trailer and to thumb its mechanical nose at gas pumps along the way. Standard appearance, comfort and convenience features likely reprised in the base Tradesman should include 17-inch steel wheels, a trailer hitch and wiring, vinyl upholstery, cruise control, tilt-wheel steering, air conditioning and an AM/FM stereo with 6 speakers. Quad and Crew Cab trims should again sport split-folding rear seatbacks, full power accessories including heated power-adjustable outside mirrors, and a height-adjustable driver’s seat. Look for the 2014 Ram 1500 SLT to flaunt 17-inch alloy wheels, some added exterior bling, cloth upholstery, simulated alloy cabin accents and satellite radio, with the fuel-efficient HFE likely to pack pretty much the same stuff. The Sport trim level, meanwhile, is expected to toss in 20-inch polished alloy wheels, a power-adjustable driver’s seat, remote garage door opener, leather steering wheel, auto dimming rear-view mirror, Bluetooth hands-free calling and a 7-speaker audio system with a memory card slot. Expect leather upholstery and heated power-adjustable front seats to again grace the high-end Ram 1500 Laramie, along with power-adjustable pedals, a heated steering wheel, simulated wood and chrome cabin accents, dual-zone climate control, memory for driver's settings, a power sliding rear window and upgraded audio, with the Laramie Longhorn throwing in step running boards, premium leather and hard-drive-based navigation. Lower trims are again expected to remain eligible for optional add-ons that come standard with higher trims. And again, various sub-trims will surely add or delete many of the optional items available, such as upgraded premium audio with 506 watts and 9 Alpine speakers, tubular side steps, a power sunroof, tri-fold tonneau cover, spray-in bedliner, single-CD player and a trailer brake controller. Depending on the trim level, remote engine start with a security package is also optional, as is Chrysler’s new Uconnect 8.4 infotainment system with 8.4-inch color touchscreen display. Safety-wise, expect a return of standard 4-wheel antilock brakes (ABS) in the 2014 Ram 1500 lineup, as well as traction and stability control, front side mounted airbags, front head airbags, and, in Quad and Crew editions, rear head airbags. Dusk-sensing headlights and a post-collision safety system should grace all trim levels, while the Sport and higher trim levels should again sport standard turn-signal-integrated mirrors. What's your take on the 2014 Ram 1500? 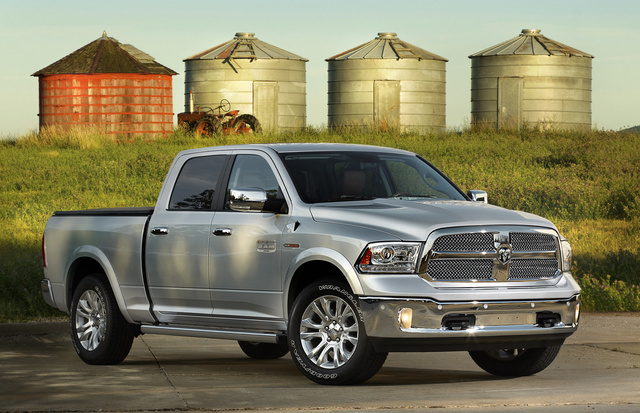 Users ranked 2014 Ram 1500 against other cars which they drove/owned. Each ranking was based on 9 categories. Here is the summary of top rankings. 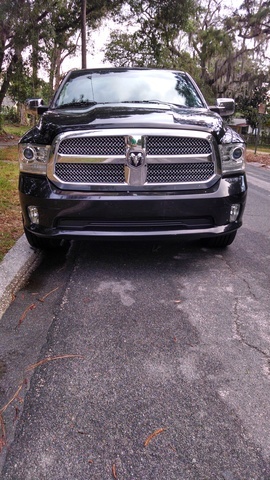 Have you driven a 2014 Ram 1500? Gas Cap Light Will Not Go Off, How Do I Reset It?